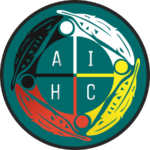 Tribal Leaders, Urban Indian Health Program Leaders and their staff have been working with the State to address issues from the implementation of managed care in the Medicaid system in Washington State. Issues were identified through the 2013 Tribal Centric Behavioral Health Report to the Legislature and Tribal consultation for the 1915 b and 1115 Medicaid waivers that change the way Medicaid services are provided in this State. Two individuals representing the governor’s office. Between July 1 and December 21, 2018, this Council met four times to guide the development of the report to the legislature with recommendations for moving these solutions forward. Help expand 100% FMAP to payments made to specialty care providers, expanding the fee for service network and allowing for those providers to be paid more than Medicaid Fee for Services rates. Establish the Tribal Health Reinvestment Account to keep the savings from going into the general funds and redirect back to improve the Fee for Services program so more savings can be achieved. Establish Reinvestment Committee of the Governor’s Indian Health Advisory Council to set a plan for how savings will be spent.